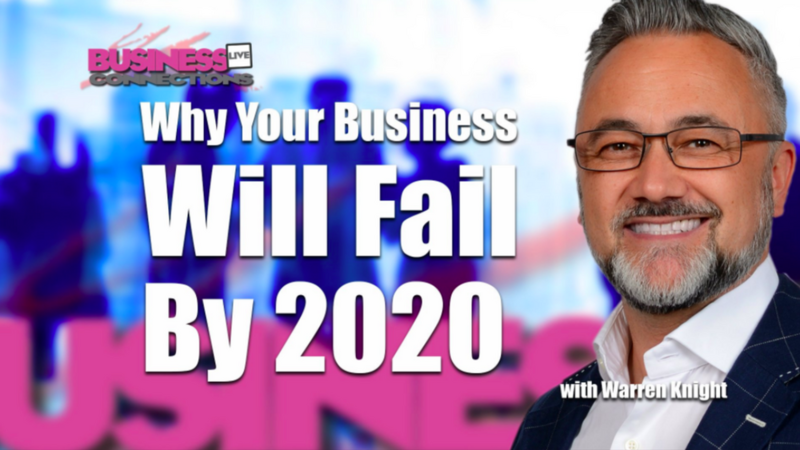 Why Your Small Business Will Fail By 2020. Warren will be taking you through the importance of going through a digital transformation as a small business, as well as how to do your industry and competition research, understand your target audience and create a strategy that is consistent with your online message. After being in business for 25 years and specialising online for 10 years, award winning entrepreneur Warren Knight will be sharing his knowledge and talking about why he wrote a 2nd edition of his book; Think #Digital First. Join me live, online at 12pm on Monday 23rd October.